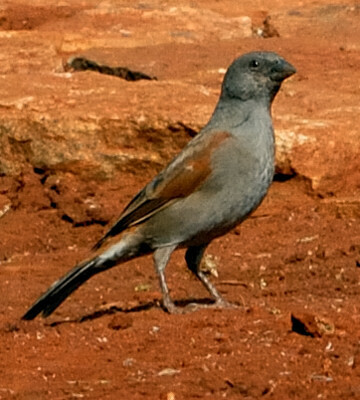 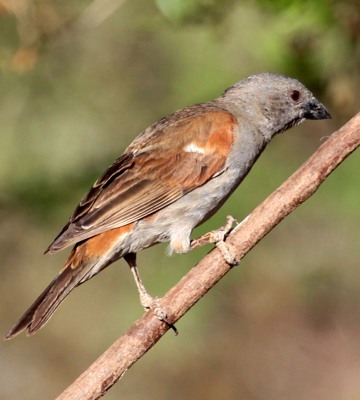 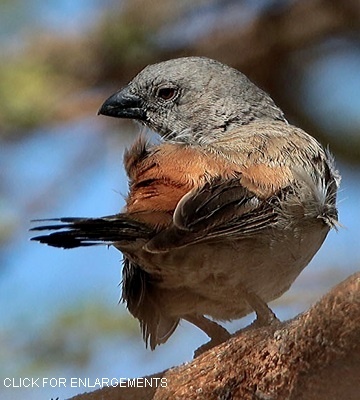 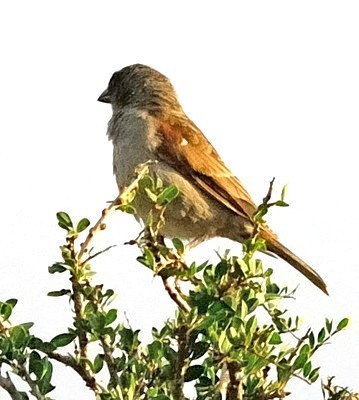 The parrot-billed sparrow, an east African endemic, is the largest of the grey-headed sparrows (16 cm) and has a large conical bill and a uniformly grey throat and breast. 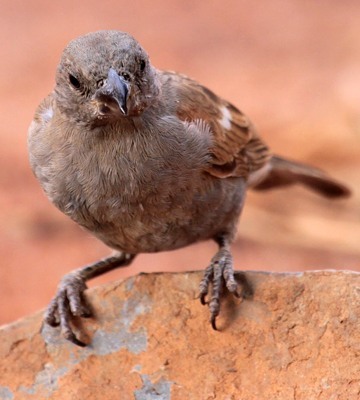 These photos were taken in Amboseli, Samburu, and Mkomazi. 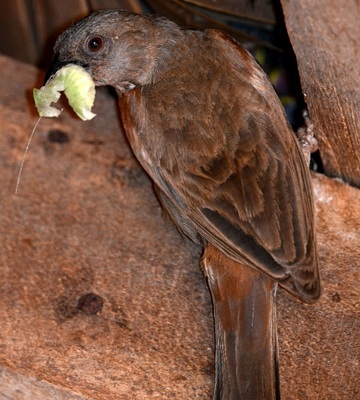 The left middle and bottom photos are courtesy of Karine Van der Vurst; click the left lower photo to see five enlargements including a juvenile.